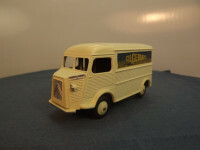 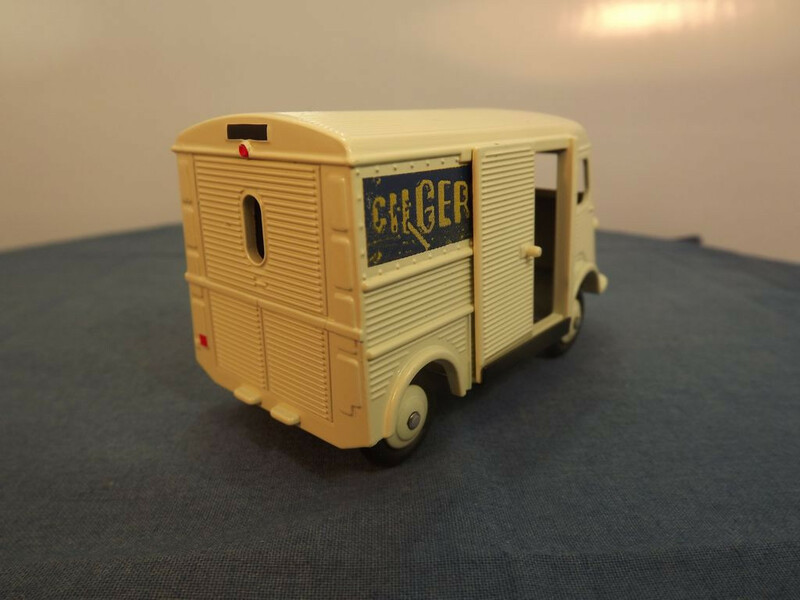 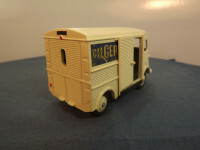 This model is the Editions Atlas Dinky 25cg-F-1 Citroen 1200kg Van in cream with "Ch. Gervais" logos. 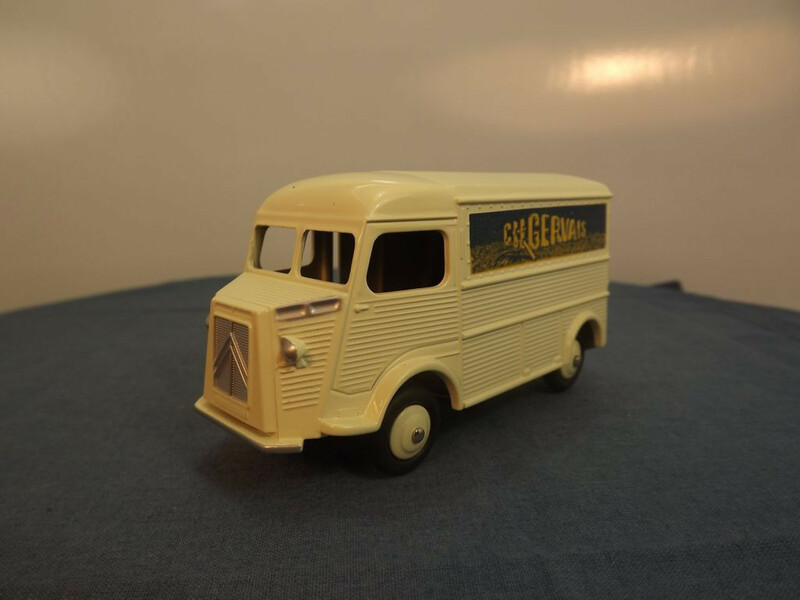 There are no opening parts on this model apart from the right hand side rear compartment sliding door and all detail such as grille, lights, bumpers, doors, etc is cast into the body. 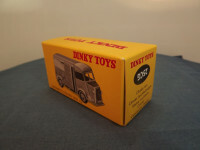 The vehicle is adorned with silver painted bumper, grille and headlight lenses to the front, and red lights to the rear. All wheels are one piece, cast metal hubs with separate black rubber tyre on domed steel axles which pass through the base plate. 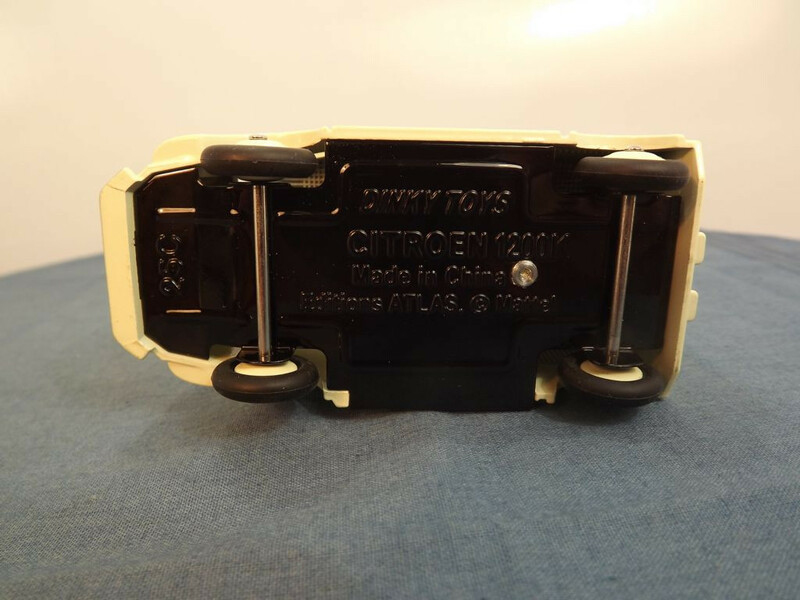 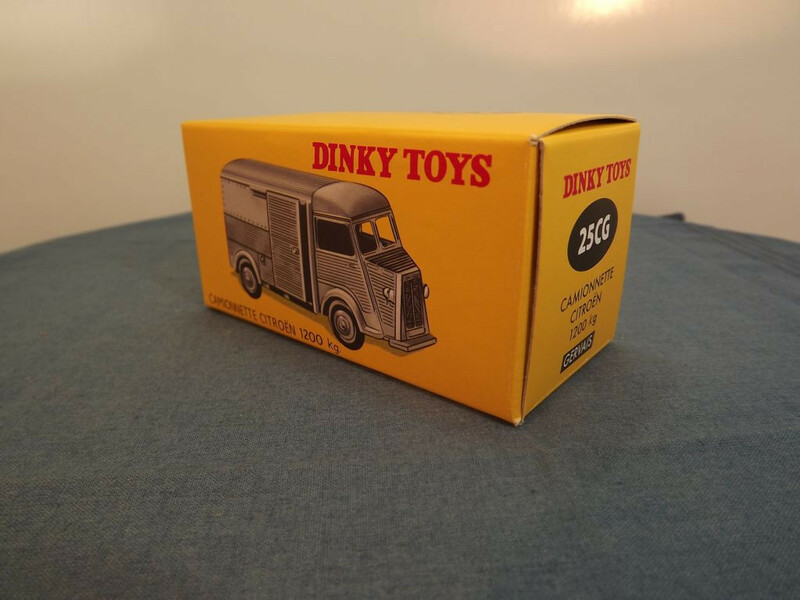 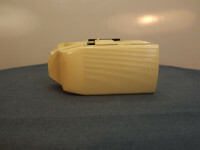 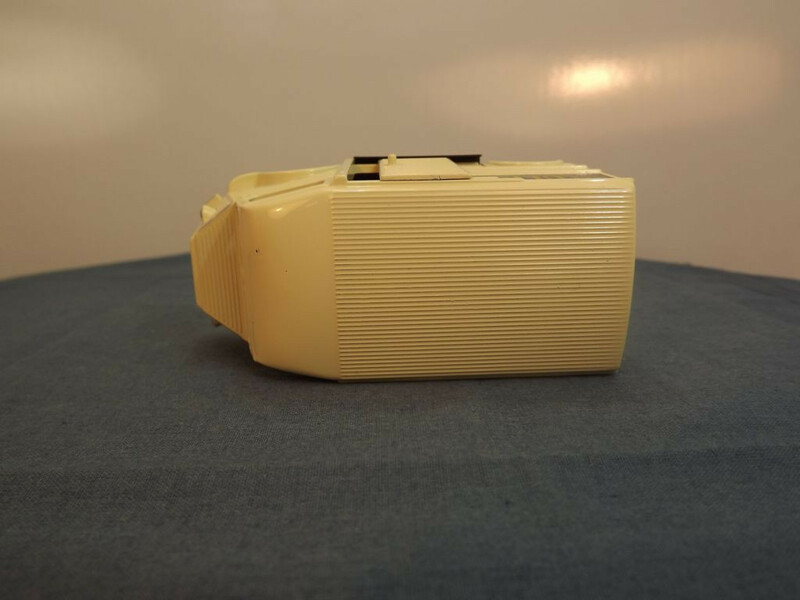 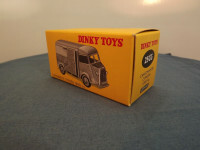 The base plate is black painted tinplate metal that carries the legend "Dinky Toys" to the centre top, "Citroen 1200k, Made in China, Editions Atlas &copy; Mattel, "on three lines in the centre mmiddle, and "25C" just to the rear of the front bumper.